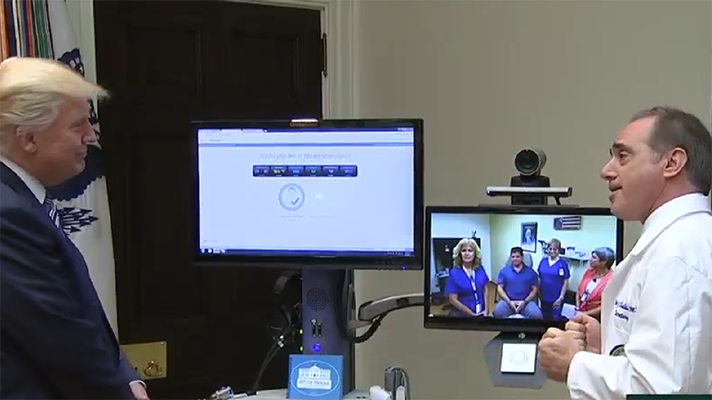 The bill gives legislative teeth to the agency’s Anywhere to Anywhere telemedicine program, including a clause that bars states from revoking providers who practice telehealth across state lines. The U.S. Senate passed the Veterans in E-Health and Telemedicine Support Act of 2017 on Wednesday evening, bipartisan legislation designed to expand the Department of Veterans Affairs’ telehealth programs and allow VA providers to cross state lines to practice telemedicine. The legislation is crucial to the VA’s Anywhere to Anywhere telehealth program introduced by Secretary David Shulkin, MD, and President Donald Trump in August. The bill provides legislative authority to Shulkin’s administrative actions. In early November, the House of Representatives unanimously passed S. 925, which received a significant amount of support from trade groups, providers and legislators when it was introduced in the fall. The Senate’s version of the bill has slight differences in the technical language, including a section that bars states from revoking the license, certification or registration of healthcare providers who practice telemedicine across state lines. The House and Senate versions will need to be reconciled before the final bill is sent to the president’s desk. Since his appointment early last year, Shulkin has been pushing for a massive overhaul of the VA health system. Expanding care access to veterans and reducing wait times has been at the forefront of these efforts. The passing of this law provides teeth to Shulkin’s efforts.